Ford Motor Company of Canada saw a 2.8% sales drop-off in November, falling from 24,472 vehicles delivered in 2016 to 23,788 vehicles sold last month. The decline in overall sales was not for lack of effort on the part of Ford’s trucks and SUVs, which delivered 2.6% growth at 21,651 vehicles sold and was led by November bests from both the Edge and the F-Series. Ford F-Series sales were up 11% for the month at 12,548 vehicles delivered, and Edge sales increased 12% at 1,538 vehicles delivered. E-Series sales were also up, rising 120% year-over-year at 339 vehicles delivered, while sales of the Lincoln MKX rose 26% and sales of the Navigator increased 49%. Ford’s car sales were down 36.6% in November, but the C-MAX saw sales jump 37% with 86 units delivered. 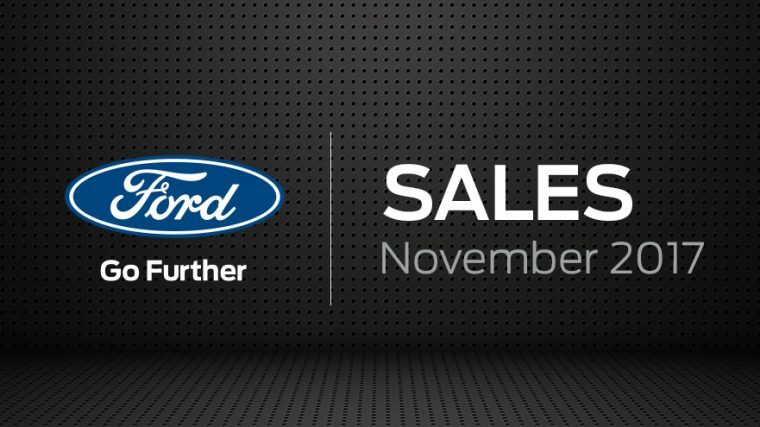 Through 11 months, Ford of Canada’s sales are up 2.2% at 291,104 vehicles delivered. Car sales are down 18.7% at 36,044 vehicles delivered, and truck sales are up 6% at 255,060 vehicles delivered.